Our client designed t-shirts to sell online where all the net proceeds go to charities that fully support Hurricane Maria relief efforts. We quickly got started on a new Shopify website to showcase the cause and t-shirt for sale and they were up and running in 24 hours. 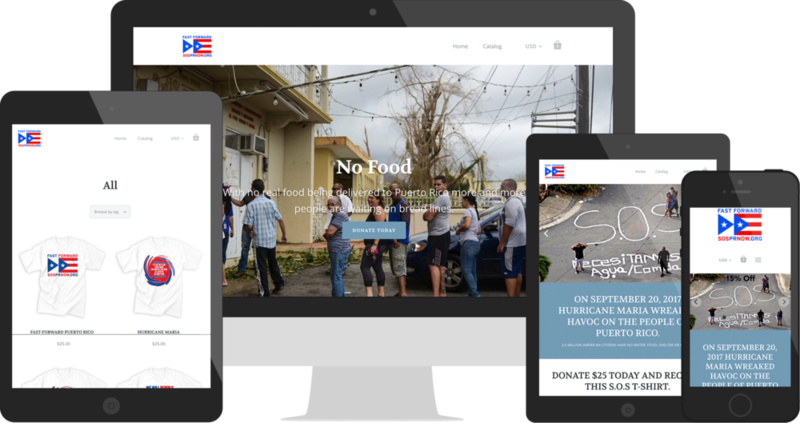 We are writing this post to share their cause and to help spread the word about SOS Puerto Rico Now. Check out their website for more information on how you can donate $25 and receive the S.O.S T-Shirt.